I could do with that! Stashing up the Xmas cards, so that I'll never be late again! Do drop by at Let's Scrap and play along ! Remember to link up at the inlinkz at the post! Darling card!! Love the white space :) Too many patterned papers intimidate me, but you make it look easy!! 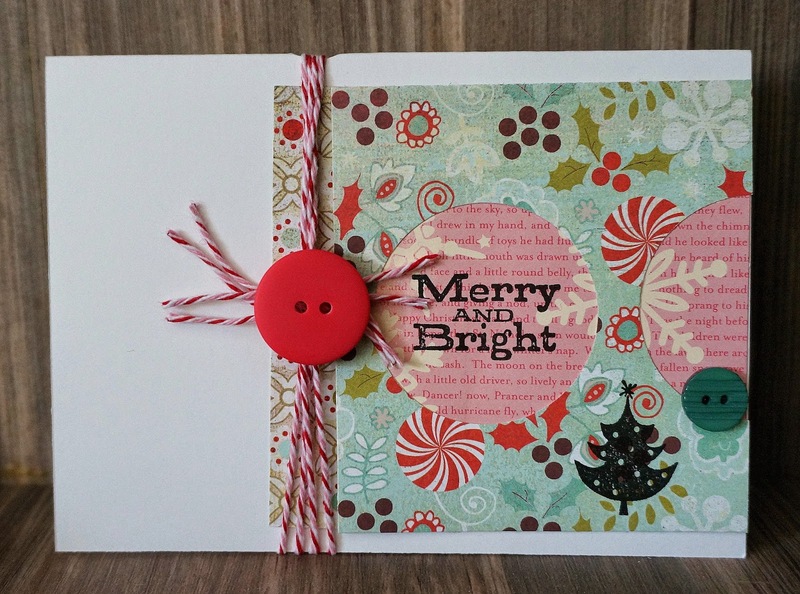 The big button and twine add a great touch! Glad to see this at Let's Scrap!! Stunning Card Michelle!! Love the colors you used!! Thanks for joining us at Let's Scrap! !